Amazing ocean views, private access to a hidden idyllic beach. 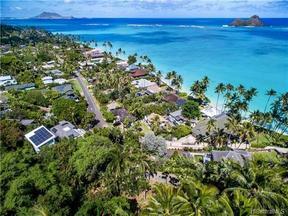 This is the last available property in the only gated area in Lanikai. Perfect to build your dream home. Seller is an architect and has building plans available. By appointment only as the property is located behind a security gate.